Cruise around the best coast in the world in comfort and luxury! A unique luxury Superyacht cruise experience in the West Coast of Scotland. 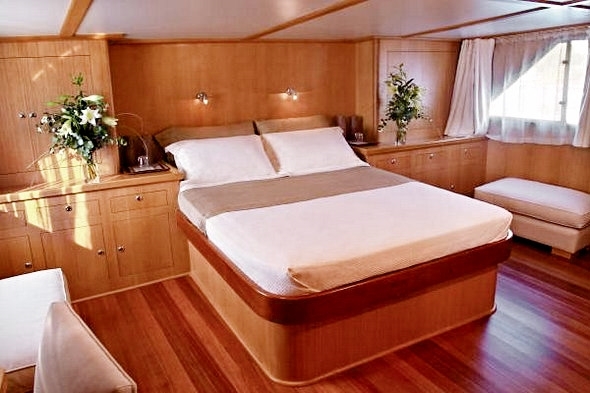 Exclusive use or per cabin charter with 6 luxury cabins. Whisky, History and Golf cruises included. The only 199T Superyacht in the country available for private charter, corporate cruises and scheduled cruises. 5 STAR accommodation and service. Everything you would expect from a luxury cruise and more. Visit Scotland in style and enjoy a leisurely cruise to some of the most beautiful coastlines in the world. All of our cruises offer spectacular sights at every turn and are a feast for the soul. Cruise along in splendid luxury taking in the majestic views of Argyll and her Isles, including the Outer Hebrides. Bathe in the splendid beauty of Scotland’s wildlife, Europe's last great frontier. A cruise with The Royal Scottish Shipping Line brings you adventure, though a calmness is always apparent given the tranquil locations we visit and the stillness of the waters as we glide through at a much slower pace. 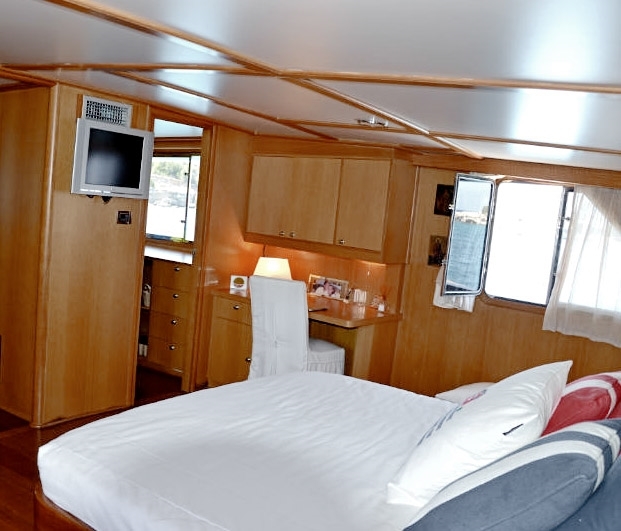 Your cruise will take place on our luxury superyacht, The Spirit of Fortitude, which is very unique in the West Coast of Scotland at 130f with 6 full size cabins (the largest available in the area), which allow you to dine in private if you so wish. The size and quality of finish of this superyacht gives it a comfortable feeling but allows you to have time on your own as there are so many areas to escape to during the cruise. As we cruise to stunning locations like Skye and Barra, you can relax in our newly finished Whisky viewing room, or read in the library. 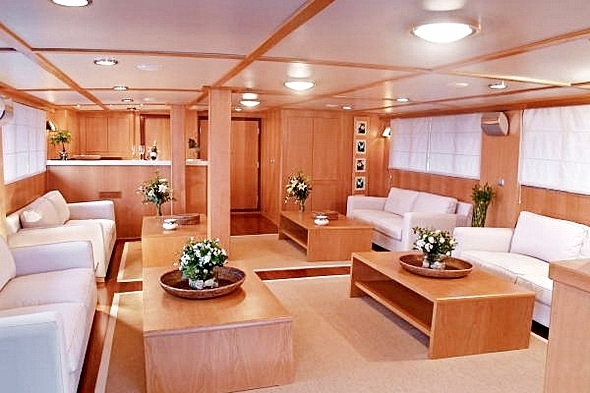 Our large saloon area allows you to mix with your fellow cruise guests. We also have a swim deck, back dining deck and a top sun deck fully railed with built in sun beds and tables, for when you want to lie back and forget about the world. Our cruises span from three to fourteen nights and from our journey to Mull and Iona on a mini cruise - right through to the UNESCO World heritage site of St Kilda - truly a cruise that you can never forget. All of our cruises are all inclusive and we pride ourself on the level of service we provide. Our cruise staff are extensively trained to offer the highest levels of service at all times. 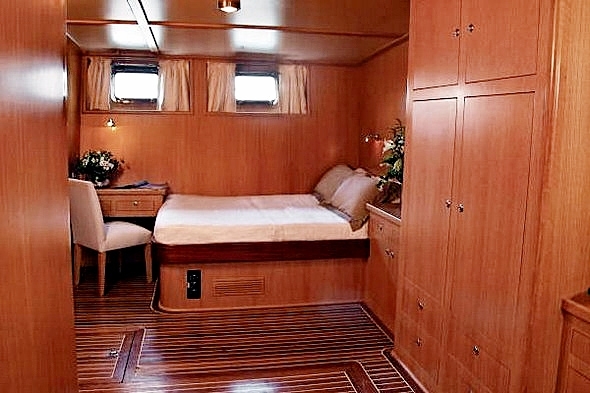 Cruise around the best coast in the world in comfort and luxury! 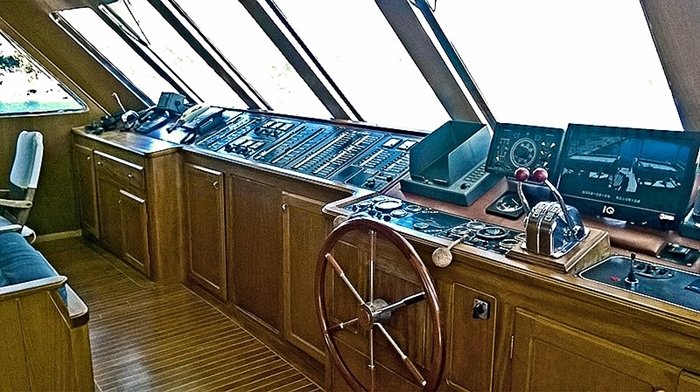 Escape to the edge of the world and feel safe on The Spirit of Fortitude while we take care of everything. 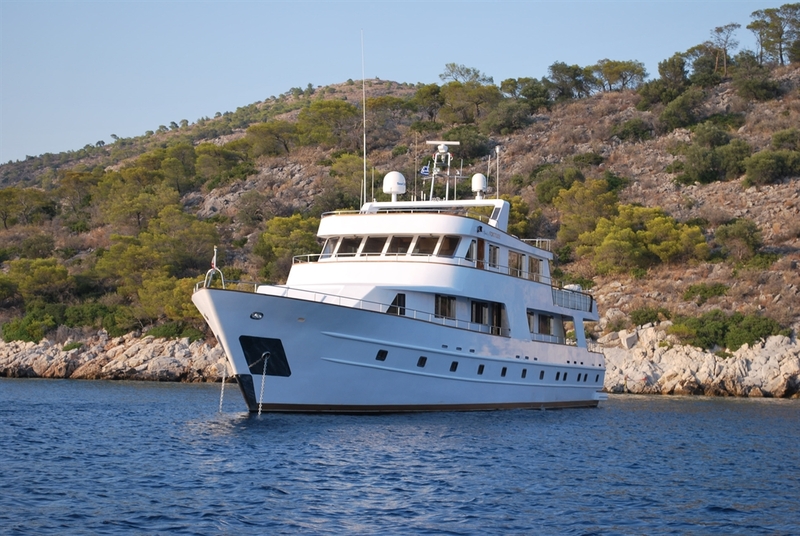 Prices 3 nights £1,245, 6 nights £2,490,10 nights £4,150, 14 nights £5,810, Private charter from £14,700. Take Part in Scotland’s year of Heritage and enjoy some of the finest historical sights that Scotland has to offer on a cruise that will bring together the rich tapestry of medieval castles, geological and historical gems of the area. Whisky, history, golf and nature – the very best that Scotland has to offer as we cruise luxuriously from Greenock to our summer port of Oban – the Gateway to the Isles. Join us on this fascinating and engaging voyage in some of the most spectacular landscapes and wildlife Scotland has to offer. When time is not overflowing, it need not hinder your prospect to have the trip of a lifetime. This luxurious three-night mini cruise visits long forgotten bays in the tranquil waters steeped in a history of castles, clans and legends. A feast for the eyes and a journey for the soul - you can’t help but enjoy our breath taking journey cruising the Isle of Skye and the Inner Hebrides. Full of majestic and mystical sights bathed in historical folklore with its ancient structures gifted by man and nature. An interesting and unique six night cruise, with two options - Oban to Inverness or Inverness to Oban. This voyage encompasses scenes of murders, monsters, castles, lochs and some of the most stunning landscapes you could ever wish to see. Arisaig and the famous and magical hues of greens and blue waters provide a backdrop for this six night cruise. Named, the “safe place”, enroute, we pass what feel like long forgotten coves, beguiling bays and castles, hidden islands and sandy beaches. Sea birds soar above your head and dolphins and seals vie for your attention. Taken at a slow and leisurely place, this cruise visits some of Scotland’s most famous distilleries and allows you to appreciate the beauty of the land that helps to inspire and flavour them. Just like a fine whisky these things cannot be rushed. Magnificent, enthralling, bewitching and captivating - just some of the words that can be used to describe the breath-taking beauty that is St Kilda and it’s UNESCO World Heritage Site. Cruise with us to the edge of the world, through the islands of North and South Uist and Harris and Lewis. Passing monumental sea stacks, heavenly beaches and remote islands before returning back via the impressive Isle of Skye. Fourteen nights of sumptuous surroundings travelling throughout the Highlands and Islands of Scotland, up to Orkney and the captivating beauty of Scappa Flow before sailing down the East Coast past other-worldly bays and resplendent fairy tale castles. This captivating cruise shows everything that Scotland has to offer and will still make you wish you could sail around again.